When Amazon announced their Amazon Prime Air service on the eve of Cyber Monday many people sat up and took notice. But the presentation was essentially showing the public what many had already known - Amazon is entering the field of advanced robotics. In March of 2012 Amazon acquired Kiva Systems, a manufacturer of robotics warehouse machines. 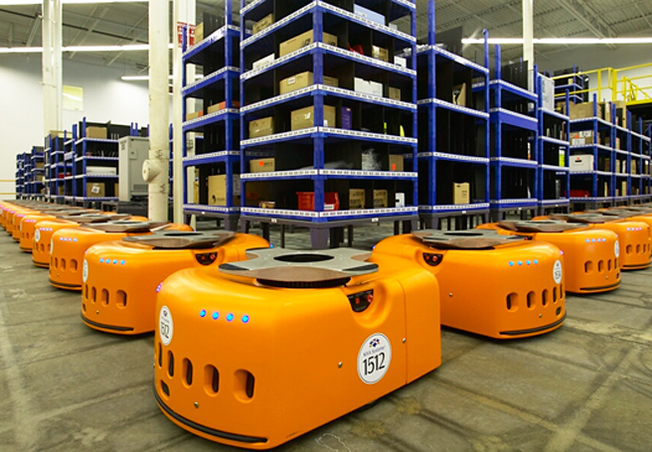 Kiva built a fleet or orange floor skittering robots that made order fulfillment fast and easy at a large array of customers. Earlier Kiva customers included Crate and Barrel, Von Maur, Walgreens, Diapers.com, Gilt Groupe and Staples. Kiva's basic innovation is to create a bill of materials for a customer order and have the materials for the order come to the user, instead of the user walking around a warehouse looking for the necessary items. The Kiva system can also organize the inventory itself based on which items are ordered more and bring them closer to the order fulfillment area. 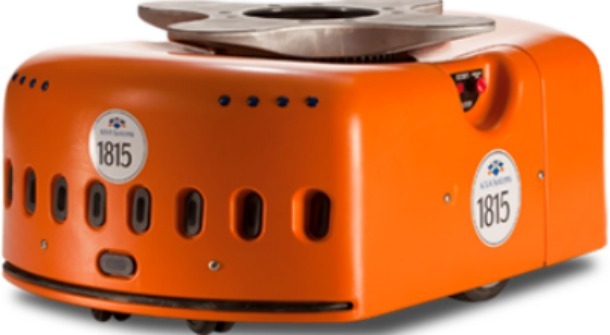 This cuts down on robotic travel time so that the most popular orders can be completed in the shortest amount of time. Units move by training cameras at the floor and reading bar code stickers that tell the robots where to go and which shelves to bring with them. Sensors also constantly read information and beam it back to a central brain so that if one unit notices an unlevel floor or a misaligned sticker then every unit can be aware and ready for the anomaly. Kiva modules attach themselves to the shelves using a custom built ballscrew powered by a single dc motor. The robot rotates its wheels in the opposite direction at the exact speed of the screw to keep the shelves motionless while docking. The process looks completely effortless, you can see the robot drive up to the shelf, spin, and then drive away with the shelf seemingly attached to its roof. Amazon is making great strides in the field of robotics and all of the effort is built around the idea of a better customer experience. When the warehouse is more efficient then the customer can receive orders faster and bring more of its business to Amazon. The idea of a warehouse full of movies, music, books and games spread throughout thousands of shelves brings to mind an ineffective government organization holding the Ark of the Covenant or hiding secret X-Files data. It's incredibly inspiring to think that Kiva Systems and Amazon are using robots to bring a much more efficient, cheap and sustainable way to get the right pieces to the right customers.